In New York City, we all lead hectic lives, full of traffic, crowds and congestion, so it’s important to create relaxing environments in our apartments and homes. 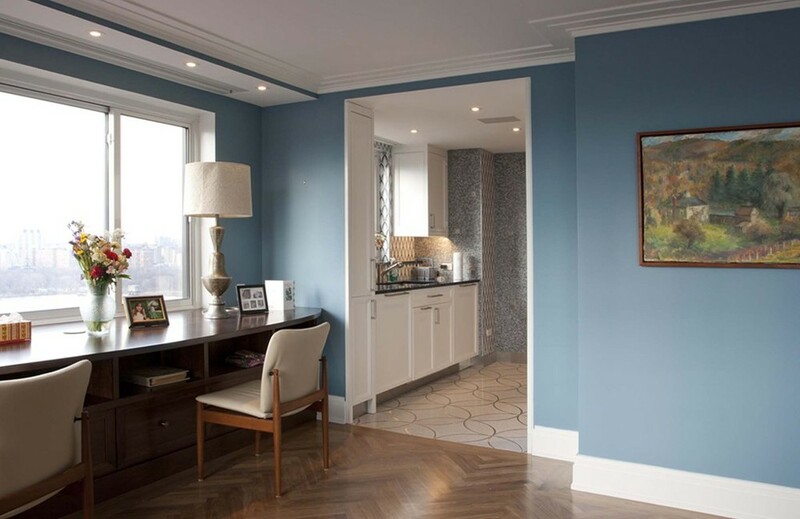 Using color is a great way to create a peaceful feel in your space, but it’s important to understand how wall color and decorative accent color can affect the atmosphere of your home. Color can be used to harmonize and create your sought-after atmosphere and ambiance. In feng shui, color is one of the 9 ways that you can shift your space and life. People are overwhelmingly affected by what they see, so the appropriate use of color can truly help create a relaxing space. 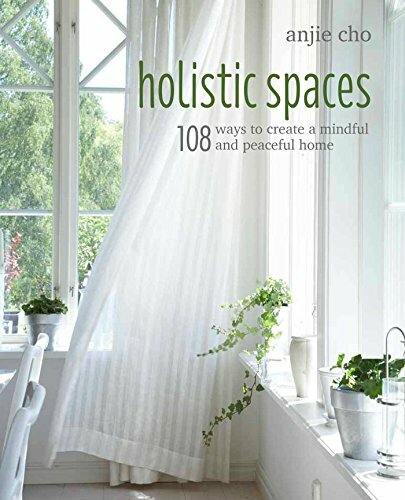 Below are some color suggestions for creating a restful, healing and organic home. I suggest you use color, not just with paint on your walls, but also with furniture and/or accents such as rugs, drapes, and art. Be conscious of the quantity of colors that you use, especially for small spaces. Use one or two colors as an accent, rather than a smattering of bold colors. It is a good idea to avoid loud patterns, especially sharp angular geometric shapes. Stick with solids or subtle organically shaped designs. The easiest way to approach the idea of relaxing colors, is to think of the natural world. For instance, beach colors or forest colors. Beach colors are muted and soft tones. Forest colors are deeper tones, yet balancing and calming. In both cases, cooler and warmer colors both work. Below is my color guide for recommended soothing colors, and stimulating colors to avoid. The key is to use harmonious colors together rather than contrasting ones. The colors below all work well together for a tranquil environment. Dark or Pale Blues: Think the pale sky or the deep blue ocean. Blues give a quiet and settling feeling. It creates a meditative feeling of exhaling, relaxing tensions and refreshing the body. They say that humans see cobalt blue in the womb, therefore blue can provide a sense of security and calm. Deep and Pale Greens: Greens can represent tranquility and healthy supportive energy. It’s a balancing color, and the color of nature and plants. In feng shui, green represents life and renewing energy. Greens can be extremely restorative. Avoid bright fluorescent greens, which can be too stimulating. Pale Browns and Neutral Tones: Earthy tones of sand and soil are soothing hues, representing stability and the nurturing of mother earth. Brown can be elegant and also symbolize the quiet steadiness of a tree. Stay on the light end, but away from the flesh tones and yellow colors. Pale and Deep Violets: Violets can be calming and balancing. It’s the combination of fiery red with relaxing blue. Therefore, this color can harmonize and create inner balance and peace. These colors are safe to use in small amounts, but best to avoid them if you can. Red: Red is very stimulating. Try to steer clear of too much of it. It can be very active and while appropriate for many applications, it’s not suitable for relaxing environments. Gray and Blacks: These colors are considered depressing and isolating. Although Black can be contemplative, it can generate a dark look. Gray is thought of as an ambiguous color, the “gray area." Note: Grayish hues are okay for soothing spaces, just use them in combination with some of the suggested relaxing colors. Yellow: Try to avoid yellow, especially bright yellow as it can be very hard on the eyes. It puts pressure on people and is not appropriate for a relaxing environment. It says “caution,” rather then “relax." Also yellowish whites hold a murky and aged feeling that should be avoided. White: White is great as a base, but avoid rooms that are entirely white. White can be sharp and harsh on the eyes. Imagine walking in a field of snow, it’s blinding and exhausting. Choose off whites, and add in some of the relaxing colors to soften things up.